Founded almost 50 years ago, the Northampton Area Group of Diabetes UK is a highly successful organisation which continues to fulfil the aims laid down by its founders. We have many long-standing members and offer a very warm welcome to newcomers - if you have Diabetes and have not yet been to one of our meetings, do come along and see for yourself just how friendly and helpful we are. (over the past 20 years to January 2019, our Group has raised over £98,000). We take an active interest in the way that Diabetes care is provided in the County, and make a significant contribution to the planning of Diabetes care at the level of the Primary Care Trust. For example, some of our Committee members are Patient Representatives on the Diabetes Network Board, providing our thoughts on the standard of Diabetes care across the County. Much of the secret of our continuing success is the close relationship between our members and the Diabetes team at Northampton General Hospital. 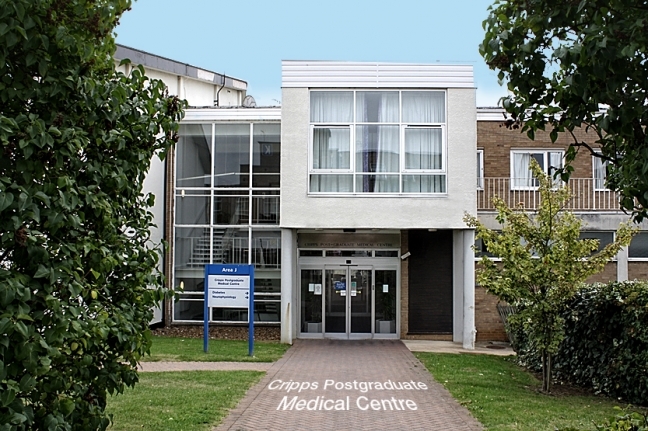 All meetings (unless otherwise stated) take place on Tuesday evenings at 7.30pm in the Cripps Postgraduate Medical Centre at Northampton General Hospital, located next to the hospital Diabetes Centre (see NGH map, area J). Parking: the minimum metered charge for parking is £3.20 for 3 hours. Change is not given, so do come with the correct coinage. The programme of meetings for 2018 -2019 is available HERE to view or download. This section of Northampton Area Group is active in giving support to families who have children under the paediatric care of Northampton General Hospital. Every year, the Group holds a 'Family Activity & Information Day' in conjunction with NGH's paediatric team. The 2018 event was held on 8 September 2018 at Adventure Ways, Moulton. Tuesday 14th May 2019 - "Improvements made to Diabetes care whilst in hospital"
Join us at our next meeting on Tuesday 14th May 2019 at 7:30 p.m., when Dr. Somwya Setty (Consultant Physician, NGHT) will give a talk on "Improvements made to Diabetes care whilst in hospital." The meeting will be held in the Cripps Postgraduate Medical Centre as usual.